WASHINGTON, US: The news media is generating some big news of its own, as a growing number of star US journalists move online, bringing followers and financial backers with them. Online news sites have been around for years, but in recent months the trend has gained momentum, defying predictions of a troubled media industry. 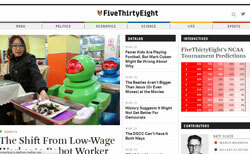 The latest was the relaunch of FiveThirtyEight, headed by Nate Silver, a statistician and journalist who made his own headlines with his accurate prediction of the 2012 presidential election. The site, which covers a range of news with a statistician's eye, is backed by the sports broadcaster ESPN, after Silver left The New York Times with his blog. Also joining the fray was The Intercept, a news site backed by tech entrepreneur Pierre Omidyar with an editorial team led by Glenn Greenwald, the former Guardian reporter who broke news with documents leaked by former National Security Agency contractor Edward Snowden. Omidyar has pledged to invest $250m in his First Look Media, which includes a not-for-profit news operation and a separate technology arm for new media. 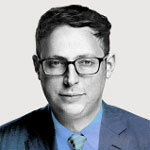 The Washington Post's popular "Wonkblog" columnist Ezra Klein meanwhile left the newspaper to start a news website backed by Vox Media. Yahoo wooed television news star Katie Couric and former New York Times tech writer David Pogue. And journalists at The Wall Street Journal-backed tech blog AllThingsD broke off in January to create Re/code, a separate website with support from Comcast's NBCUniversal. The new energy in Internet news comes as the entrenched news industry faces deepening financial woes, and the model for online profits remains unclear. So is the news business dying or being reborn? Alan Mutter, a former Chicago newspaper editor who consults for journalism and technology ventures, said that while traditional newspapers are withering, online news sites may be working. But the digital news business is likely to be "vertical," covering a segment such as technology, sports or politics, unlike a newspaper, which aims to cover all sectors. Online news can get money from subscriptions, premium content or links to shopping, for example. "The future of digital publishing is the antithesis of traditional publishing," Mutter told AFP. Newspapers try to get a broad audience by offering comics, coupons and recipes, while covering news ranging from local crime to politics to walks on the moon, and online sites are changing that model. The shift is similar to what happened in retailing, with multi-sector department stores hammered by specialty apparel, housewares or electronics stores. "Newspapers are basically following a publishing-model mindset that is locked in 1958," Mutter said. "They take the same content and put it on a website or put it on mobile and they say they have a digital strategy." Ken Doctor, a media analyst with Outsell who writes the Newsonomics blog, said it has become easier to launch news sites. "The technology has gotten much better and cheaper in the past few years," Doctor said. "And once you create the content, the social world is able to find new audiences at practically no incremental cost." News startups can expand internationally and gain a far larger audience than they would with a local or even national US newspaper, he noted. "You can ramp up one of these businesses and create a national or international brand for $5m to $10m," Doctor said. Without the legacy costs of newspapers like printing, distribution and longstanding pensions, websites can become profitable relatively quickly. While not all ventures will succeed, they are attracting venture capital because "you could double or triple your money if you pick a winner," Doctor said. The startups are often personality driven -- Klein has 441,000 Twitter followers and Silver 680,000. Former Daily Beast journalist Andrew Sullivan got 35,000 paid subscribers for his "The Dish" blog. One of Silicon Valley's most prominent venture capitalists, Marc Andreessen, sees huge potential. "I am more bullish about the future of the news industry over the next 20 years than almost anyone I know," said a blog post by Andreessen, who founded the early Internet group Netscape Communications. "Maybe we are entering into a new golden age of journalism, and we just haven't recognized it yet." Andreessen said the news business is breaking free of the "monopolies and oligopolies" that controled it for much of the post-World War II era and that the Internet is allowing new businesses to get to a scale where they can support high-quality journalism. "On the Internet, there is no limitation to the number of outlets or voices in the news chorus," he said. The economics of online news has allowed some sites to move beyond the practice of "aggregation," and into more in-depth reporting traditionally seen as the domain for newspapers. But analysts point out that while Internet news outlets which can gain readers nationally and internationally can thrive, the same is not true for local news organizations, which many Americans rely on for coverage of their communities. "It's a tale of two worlds," Doctor said. "Local newspapers are still in a death spiral, with layoff after layoff."